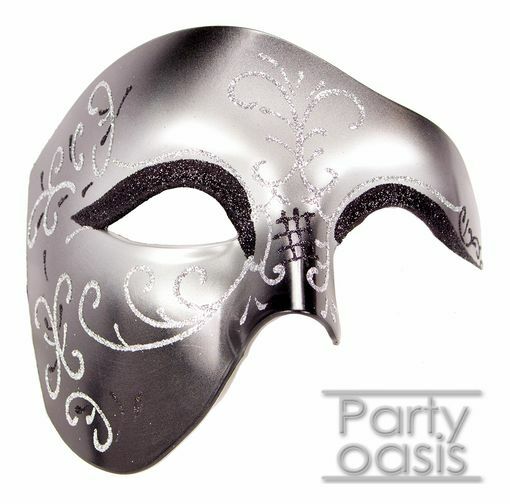 A masquerade phantom, wrap-around half-mask is made out of a durable plastic core, lightweight. It is hand-painted, with black glitter above the eyes, silver and black glitter detail. It measures 6.5�W x 5.25�H x 4�D, and comes with black ribbon ties.